If you’ve registered an account and downloaded the game you are ready to get started! You can download the game here. If this is your first time playing, a prompt will appear asking if you would like to start the in-game tutorial after you log in. This tutorial gives you a quick rundown on game basics and how to play. Finishing it completes the first step in the New User Experience Walkthrough. 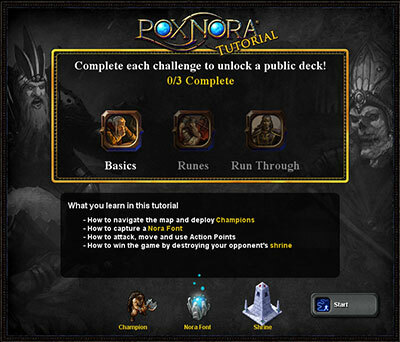 This walkthrough takes players through all the features of Pox Nora. Completing these objectives unlocks the rest of the game and gives you some bonus gold and rewards. 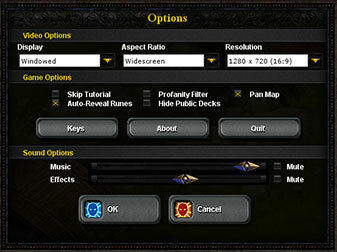 You can turn this walkthrough off in the options by unchecking “Skip Tutorial”. If you ever want to finish your progress you can check it back on and pick up where you left off. 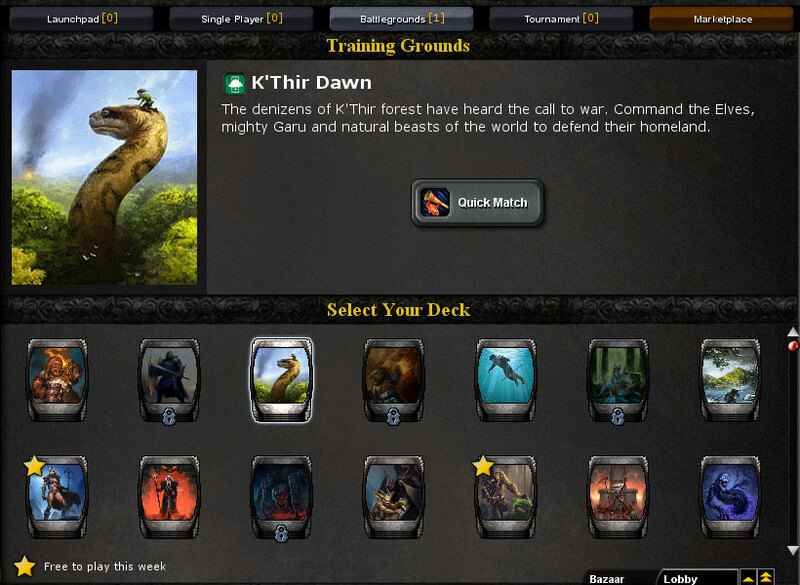 When you’re ready to play the game on your own, you will have access to Public Decks. Public decks are free, premade decks that are unlocked in the Training Grounds with gold or by playing through the 8 faction walkthroughs. Once unlocked, they will automatically show in your deck list. These decks can be used to play any kind of game in Pox Nora. For a list of current public decks and the runes in them visit the Public Decks page.